Provide a beautiful centerpiece for your living area, accentuate a hallway, or just create more storage space in any room with this elegantly designed Amilly cocktail table. Includes two darling wicker baskets that not only complement the piece, but keeps toys, accessories, and books tidy. 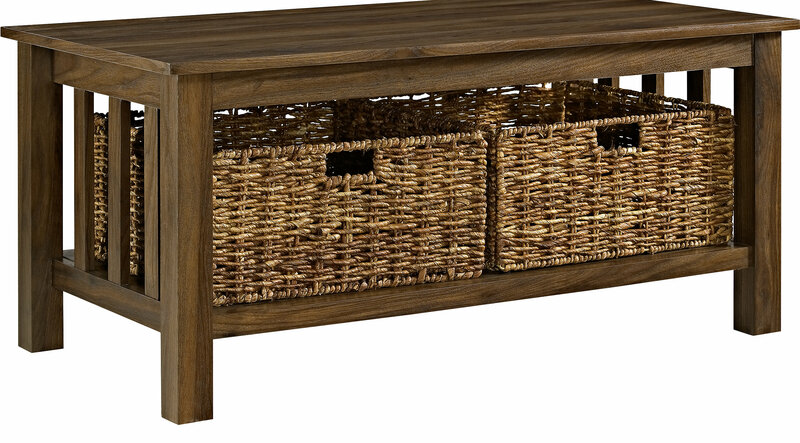 Keep your home looking tidy and on trend with this vast storage coffee table.